The hats are made to the quality and standard that 24 has been known to deliver to, and are very trendy. Benin: The Pendant Mask of Queen Idia, the first Queen mother of Benin City. Famed for her numerous victories and prominent roles in fighting for the cause of her son Oba Esigie, She is a symbol of strength and strong-will. A principal character in the body of the note-worthy tribe of Benin and a key-player in the formation of what is presently known as the Benin Kingdom. A people rich in culture. Their existence dates as far back as the 11th century. 24 Celebrates Benin. Arewa: A popular term used as reference to the people of the northern region of Nigeria. Holding one of the four cardinal points of Nigeria, the Hausa tribe stands as an embodiment of culture and dynasties. A tribe of high values, morals and strong beliefs, the hausas have played a significant role in what present day Nigeria has evolved into. Famous for their skill in cattle rearing and agriculture, they are known as an immensely wealthy tribe, in currency and in values. 24 Celebrates Arewa. Igbo: The Eagle’s Feather. Found adorning the caps of chiefs and prominent members of the Igbo Tribe, indigenes of the Eastern region of Nigeria. A symbol of strength, tenacity, vision and determination, the Eagle’s Feather represents all the Igbo people are. A tribe famed for their industrious nature, they are highly entrepreneurial. They, like eagles, can spot opportunities from afar, and pounce with surgical precision. With a history of battles, wars and strife in a bid to make their claim on their rights as Nigerians, the Igbos are known as fighters for what they believe in. A strong contributor in commerce in Nigeria, they have strong values and have been instrumental in forming the present day Giant of Africa that Nigeria is known as. 24 Celebrates Igbo. Oodua: The Ife Head. This is a symbol of Kingship. Legend has it that existence started from Ile-Ife, a prominent area in Yoruba land. After the discovery of this sculpture by British colonialists, the carving was sent to the British museum as a marvel of African art. The Yoruba people of Nigeria have been at the forefront of civilisation and the movement of what Nigeria has become. Being the industrial and commercial hub of the nation, harbouring the main sea port, the Western and South-Western region of Nigeria is heralded as the heartbeat of the nation. A hard working tribe of diverse skills and trades, the Yorubas are seen at every institution, holding prominent roles by merit. The engine of change Nigeria is currently experiencing. The proactive steps taken by this tribe have been at the heart of building, fuelling and driving the Nation. A great heritage in history, channelling the New Nigeria to come. 24Celebrates Oodua. This collection was made in honour of Nigeria. Lets spread the rich culture of Nigeria to the rest of the world, and celebrate our existence. 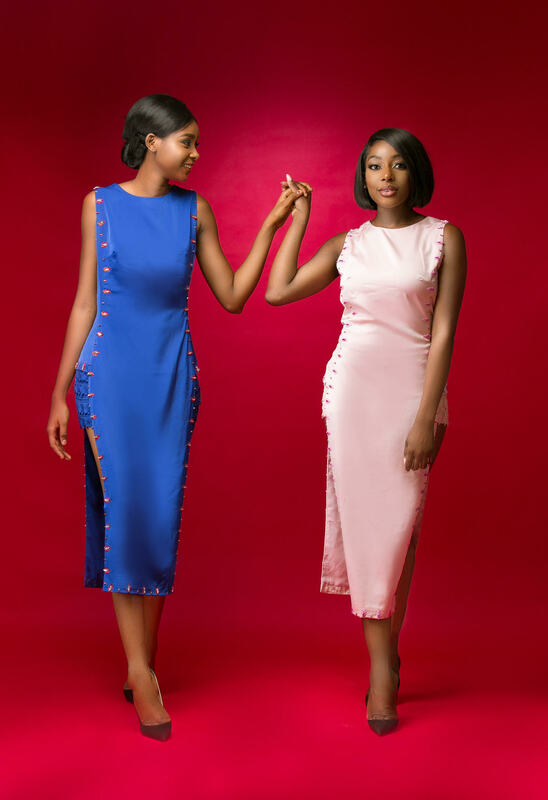 STOCKIST- Meidei – No 3, Ogbunike Street, Off Wole Olateju Street, Lekki Phase 1, Lekki.